The Public Option Back On The Agenda? The Democrats are willing to risk their skins to shove this down our throats. WASHINGTON — Could the public option be revived? This time, the Democrats are taking their arguments straight out of the Republican handbook, saying a public plan would lower the deficit. Rep. Lynn Woolsey, D-Calif., Wednesday evening introduced the Public Option Act. McDermott is among the 128 co-sponsors. Others include the chairmen of the three House committees, and their three subcommittees, with jurisdiction over health care. Supporters say the public option under this legislation is more “robust” than what the House passed last November. Instead of the government negotiating reimbursement rates with doctors and hospitals, the new proposal calls for paying providers a flat Medicare rate plus 5 percent. Democrats in the Senate couldn’t muster the votes for a public option last year, and it was left out of the final overhaul bill. On Thursday, Woolsey released an analysis by the nonpartisan Congressional Budget Office (CBO) that said the new public option would reduce the federal budget deficit by $53 billion between 2014 and 2019. As with traditional Medicare, the government would collect premiums and pay out claims, although administrative tasks could be outsourced. The CBO also estimates that a public plan would attract about 13 million, or a third, of the 38 million Americans who are expected to buy coverage through insurance exchanges that would begin operating in 2014. Premiums for a public plan would be about 5 percent to 7 percent lower on average than for comparable policies sold by commercial insurers, the CBO said. That, McDermott contends, would be a tough argument for even the GOP to reject. Reining in health-care spending is the weak link in the overhaul, he added. Republicans and many insurance companies opposed a public option last time around, calling it a government takeover of private industry. A few Democrats in the Senate also were uneasy with the idea. Michael Foley, spokesman for Group Health Cooperative, said the Seattle health co-op is reserving judgment on the new bill pending details. The legislation would allow for “innovative payment mechanisms” that could boost reimbursement for quality and efficiency. Joshua Welter, an organizer with Washington Community Action Network, an advocacy group, which strongly backs a public plan, hailed the new bill as a sign that Congress is listening to small businesses and individuals who are struggling to afford coverage. Full story at Seattle Times here. The North Carolina Tea Party is currently accepting entries from writers who share the tea party values of limited government, less taxes, and fiscal responsibility- who would like to have their work displayed on NCTeaParty.com. Do you have a personal blog you would like to see your articles cross posted on NC Tea Party? or have you always thought about writing, but do not want the responsibility of maintaining your own blog or website? If you would like to possibly see your work displayed on this site, simply email an example article or the link to your current blog to wendy@ncteaparty.com! Several years ago I began to question some of the candidate ratings the NRA was awarding politicians whom I was certain did not share my reverence of the Second Amendment. I thought to myself “how in the hell can that be”. Something was wrong, either the candidate was lying to the NRA or the NRA was lying to me. What I discovered not only surprised but saddened me, it lead me to joining Grass Roots North Carolina (GRNC) where today I serve as their Director of Volunteer Services and on the Board of Directors. It was 1994; Republican Ham Horton was challenging incumbent Democrat Ted Kaplan for his senate seat. Mr. Kaplan had a rather extensive record of supporting anti-gun legislation. He favored of the ridiculous assault weapon ban, supported hand gun registration, and a one-gun a-month purchase law. In contrast, Horton recognized that banning semi-automatic sporting rifles because of cosmetic features like thumb-hole stocks was absolutely absurd. Horton held the Second Amendment in high esteem which was diametrically opposite to Kaplan’s indifference to the Founding Father’s intention that, “the right of the people to keep and bear arms shall not be infringed”. Horton entered the race with several political “positives”; he had previously been elected to public office, was well respected within the community and as such enjoyed established name recognition. You can only imagine our shock as the race tightened up and the NRA’s Institute for Legislative Action issued their candidate ratings. Kaplan’s rating had been upgraded from a “C” to an “A”. To add insult to injury, the NRA actively campaigned on behalf of Kaplan by mailing orange alert postcards to every NRA member in the district. I was dumbfounded; the NRA was endorsing Ted Kaplan. In the end, things worked out. Ham Horton and fellow state senate candidate Mark McDaniel were both elected against the wishes of the NRA. Both senators went on to support North Carolinians’ right to carry concealed weapon (CCW), a law that was written by GRNC, and both fought for its passage. Two years later, in 1996 the NRA and GRNC would again lock horns regarding candidate ratings. During the 1995 legislative session Democrat Senator Fountain Odom was attempting to seriously gut the CCW bill in his subcommittee. He proposed onerous provisions that would require individuals to repeat mandatory training when permits were renewed. He fixed it so that concealed carry would be prohibited in financial institutions and state parks. He attempted to fix it so that only police firearm instructors could teach the mandatory course; in fact he actually proposed prohibiting NRA Instructors, such as myself, from teaching the course. He later reversed direction on the Senate floor by removing his objection thus allowing NRA Instructors to teach the course. It was apparently this single act of compromise that endeared Odom to the NRA. During the 1996 election cycle the NRA’s lead lobbyist Tanya Metaksa gave Odom an A rating, issued one of their, now suspect, orange “ALERT” postcards endorsing him with a glowing recommendation with the following comments to NRA members, “Senator Odom has demonstrated his commitment to our right to self-defense…Here’s how you can help re-elect Fountain Odom – a dedicated supporter of your Second Amendment rights. Help the campaign…make a contribution…spread the word to family, friends, and fellow gun owners…” Gun owners who knew of Odom’s flagrant opposition to the Second Amendment and his history of supporting ever increasing gun restrictions were shocked. GRNC countered with their own “Election Alert” postcard mailing besting the NRA by reaching out to nearly twice as many gun owners in Odom’s district. The mailing detailed Odom’s Second Amendment transgressions in order to set the record straight. The mailing was complimented with radio spots targeting gun owners and the tactics successfully neutralized the NRA’s endorsement. Fountain Odom was defeated by Robert Pittenger who acknowledged that GRNC had made the difference in a close and hotly contested race. AFP Foundation’s 4th annual Defending the American Dream Summit will be held August 27-28, 2010 at the Marriott Wardman Park in Washington, DC. Today, the voices of average Americans are being drowned out by lobbyists and special interests. The result: policies that are threatening to destroy the American Dream – higher taxes and out-of-control government spending, job-killing regulations, and endless red-tape. But you can do something about it. You can send a powerful message to the politicians, special interests, and the mainstream media by taking part in the Defending the American Dream Summit. On August 27th and 28th you can join America’s foremost free-market voices, top experts on grassroots mobilization, and the nation’s largest gathering of grassroots leaders from across the country in a massive show of force for our shared belief in limited government and free enterprise. Washington’s big spending, big government agenda is hurting our economy in the here and now. But, by mortgaging away the future, it’s robbing our children and grandchildren of the very opportunity to live free and experience the American Dream. * Interactive forums for meeting other teens and students who love liberty like they do – They don’t need to feel alone in the classroom any more! Defending liberty and promoting prosperity is a family affair. Give your children the gift of freedom and bring the whole family to the Defending the American Dream Summit this year. In fact we’re offering very special rate of only $159. for the whole family!! The following comes from our friends at Gun Owners of America. Please take action on this vital situation and keep Kagan out of the Supreme Court. The hearings on Elena Kagan to be a justice on the U.S. Supreme Court are over. Senate Democrats slammed them through quickly, in the same way they did ObamaCare. And, like ObamaCare, they made sure that Senate Republicans would not have the material they needed to review Kagan’s record — withholding, for example, large amounts of Clinton administration legal advice on a claim of executive privilege. While much has been concealed, what we do know about Kagan is not good, as her public service has clearly shown antagonism to the Constitution and the Separation of Powers. For example, when it became clear that the Supreme Court might strike down parts of the Brady Act (which it eventually did in 1997), Kagan suggested that President Clinton “by executive order, [might] prohibit a FFL from selling a handgun” without a certification from local police. In other words, Kagan believed that the President could circumvent the role of Congress and to act unilaterally, without any legal authority, to impose restrictions upon the private ownership of handguns. 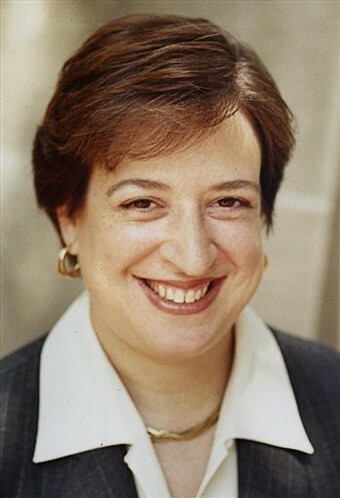 Combine all of this with the fact that in 1987 Elena Kagan told her boss, Justice Thurgood Marshall, that she was “not sympathetic” to the plight of an African-American man who wanted to own a gun for self-protection because he carried large sums of cash when depositing money for the laundromat where he worked in Washington, D.C.
Elena Kagan will follow philosophically in the footsteps of Sonia Sotomayor. During her confirmation hearings, Americans were promised that Sotomayor believed the Heller case in 2008 established “that the Second Amendment right is an individual right.” But in the recent McDonald case, Sotomayor joined the minority in wanting to both overturn Heller and deny that the Second Amendment protects a “fundamental” right. 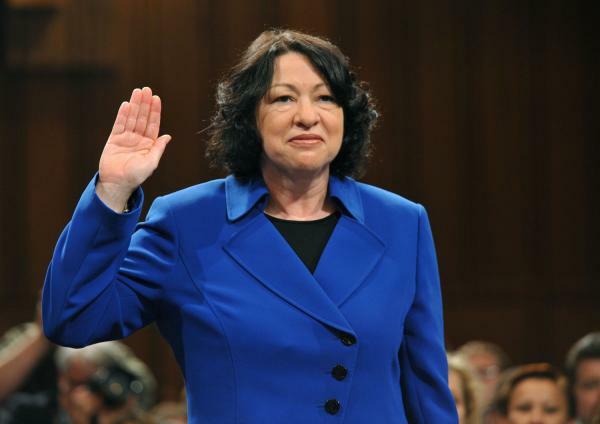 So, Justice Sonia Sotomayor lied her way onto the bench. And “cagey Kagan” is doing exactly the same thing. Please make sure you take action! The Senate Judiciary Committee will probably be voting on the Elena Kagan nomination next week — which means the proverbial ball is now rolling. So contact your Senators and urge them to oppose Kagan for the U.S. Supreme Court. And please urge your family and friends to do the same. North Carolina Senate and House Republicans will be filing a bill as soon as the state legislature reconvenes this year to protect North Carolinian’s from the federal takeover of the health care system. The Health Care Protection Act is a common sense initiative to ensure that those who want to retain the right to make their own health care decisions are able to do so. The Republican legislation will allow North Carolina citizens the opportunity to opt out of any mandates handed down by the federal government as a result of the health care bill and also exempt them from any penalties associated with refusing to comply with the new law. Democrats control both chambers of the General Assembly and routinely block bills filed by Republicans never allowing them to see the light of day. We cannot allow them to do that this time. Democrats in control of state government must hear the voice of the people! That is why we are asking you to become a “co-sponsor” of the N.C. Health Care Protection Act. You can do this in two ways. One, you can join the N.C. Health Care Protection Act group on Facebook. Or two, you can sign up below to add your name as a co-sponsor. Click HERE to be a sponsor. I can’t tell you how many times I’ve been asked to explain the difference between Grass Roots North Carolina (GRNC) and the National Rifle Association (NRA). The central theme of both organizations is the defense of the Second Amendment; however, the similarities generally stop there. The NRA is the proverbial 800 pound gorilla and typically concentrates their lobbying efforts at the federal level, whereas GRNC is dedicated to battling for gun rights at the state and local level, often utilizing activist guerilla tactics. On occasion, GRNC will join a coalition of other state-level organizations in support or opposition of federal activity. GRNC is to the NRA what the Tea Party is to Republicans. This comparison should resonate with most Tea Party members. Just as many Tea Party members are registered Republicans who have become disenchanted with the malaise of party politics, many GRNC members were at one time loyal NRA members. Some, like me, still hold their membership but quit giving money long ago after becoming disenchanted with the perpetual compromise of principle. GRNC believes that there should be no compromise with respect to the Second Amendment. What part of “shall not be infringed” is unclear? The NRA is notorious for working backroom deals with politicians. No better example played out recently, when the NRA put its own self interests before gun owners. Essentially, they compromised on principle, selling out the very core constituency they claim to defend. After opposing the Senate’s version of the Disclose Act, the NRA grew mute on the House version. They opted not to oppose HR 5175, which places restrictions on when political organizations can mention candidates during an election cycle, as well as requiring reporting the names of certain members to the Federal Election Committee. The NRA (with the help of NC Democrat Heath Shuler) carved out an exemption for themselves which seriously restricts the ability of all other gun rights organizations to defend the Second Amendment, both at the national and state levels. To be exempt from these reporting requirements an organization must have been in existence for a minimum of ten years, have 500,000 registered members, and be operating in all 50 states. The only gun rights organization in the country that meets these requirements is the NRA. So the NRA opposed the Senate version because it was a flagrant violation of free speech and the First Amendment. However, they do not oppose the House version because a backroom deal provides them with an exemption. Conflicting message? I think so. So here we have a prime example of the NRA’s lack of forethought. After the reversal of McCain-Feingold the liberal left again schemes to silence anyone who would oppose their de facto dictatorship. Yet the NRA does not oppose the incremental encroachment of free speech through the limitations imposed by HR 5175 because they get a pass. How long does the NRA think the left will wait until they attempt to impose even greater restrictions on free speech? And what happens then? Who will be left to speak out in defense of the Second Amendment? For me the Pelosi/Shuler objective is clear: silence anyone who disagrees with their perception of fairness. GRNC’s mascot, “Max,” is a pit bull with the Constitution clenched in his teeth. This accurately represents the organization as whole, tenacious and uncompromising defenders of the Second Amendment. In NC, there is no more aggressive or dedicated group of volunteers watching out for the interests of gun owners. Or, more successful for that matter. If you have a concealed carry permit in North Carolina, you have GRNC to thank for that privilege. If you have ever used that carry permit to purchase a hand gun in lieu of a pistol purchase permit, you again have GRNC to thank. These are two examples of legislation we have drafted and that have been written into law. This is one reason why I tell people that if you live in North Carolina and own a gun, or want to own a gun, you should be a member of GRNC. More information about GRNC, instructions on how to receive our legislative alerts, and membership opportunities are available at www.grnc.org. In my next installment I’ll review the difference between the NRA’s candidate ratings and GRNC’s. Learn who is accurately measuring a candidate’s genuine Second Amendment position.